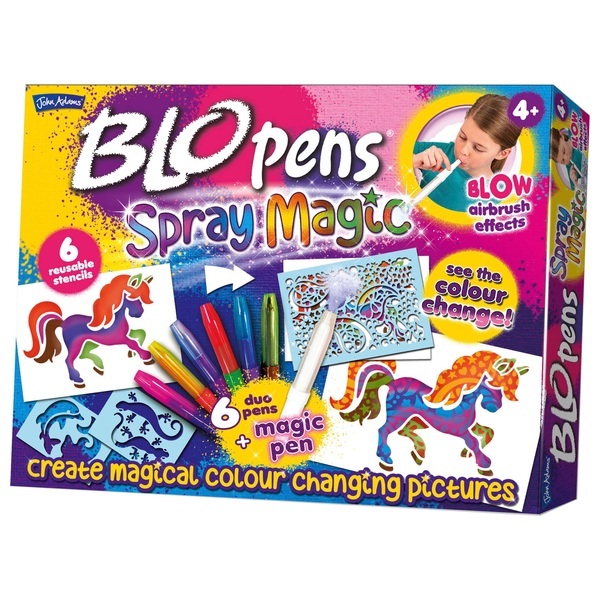 Kids love BLOPENS as they can easily create fantastic pictures with amazing airbrush effects! With Spray Magic there are 5 great stencils to create some wonderful colourful designs. Just lay a stencil on a sheet of paper, blow the 'duo pen' and see your shape appear. Next, place the small detailed pattern stencil over your picture and blow again with the 'magic pen'! Wow, see the pattern magically change colour in front of your eyes!